The UK based University of Southampton, ranked among the top 100 institutions globally in QS World University Rankings 2019, has recently launched its new India Centre for Growth and Sustainable Development, aiming for it to become a globally recognised think-tank for innovation and knowledge sharing. The centre, which is located at the university’s UK campus, will underpin existing excellence in research, education and enterprise, and be driven by common goals, shared values and partnerships between Southampton and India. The launch took place during a special day of events celebrating the university’s strong partnerships with Indian industry, education institutions and students. The deputy Indian high commissioner to the UK, Charanjeet Singh, who was among the special guests, gave a speech on the opportunities and challenges for India’s higher education system in a global context. Former Chief Justice of India, Dipak Misra will join a board of patrons for the centre that also includes former government minister Lord Patel of Bradford. As patrons, they will provide strategic advice to the Centre’s leaders, participate in key events to support its influence and raise its profile in India. It will serve as a platform to building on the strong relationships the University of Southampton already has in India. Among the many examples of collaboration is the work of Professor Caroline Fall from the university’s Faculty of Medicine with doctors and researchers across India to study maternal nutrition and health in order to reduce Type 2 diabetes and heart disease in Indian children. Faculty of Engineering & Physical Sciences’ Professor Robert Nicholls and Faculty of Environmental and Life Sciences’ Professor Craig Hutton have also worked closely with Jadhavpur University and the National Remote Sensing Agency in India on a multimillion pound project to address the impact of climate change on displacement and migration in the delta regions of Indian Bengal, Bangladesh and Ghana. And University of Southampton Alumnus Aniket Singh, who now works for Apple in California, has established an internship scheme at the University’s School of Electronics and Computer Science so other students in India have the chance to follow in his footsteps. 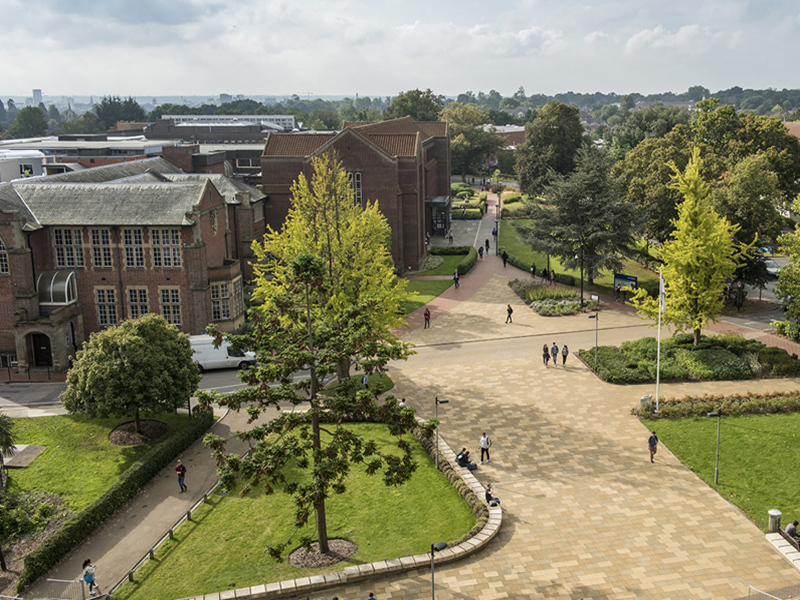 As well as strong connections to Indian institutions, the university has a thriving community of over 200 Indian students, 125 of whom joined this academic year. There are several very active Indian student societies that bring a taste of the country’s culture, including food, music and dance, to life on the university campus. Another goal of the centre is to further strengthen capacity in early-career researchers through research mobility, training and participation in research and consultancy activities. For more information on the India Centre for Inclusive Growth and Sustainable Development, visit https://www.southampton.ac.uk/socsci/news/2019/03/08-india-centre-announcement.page.